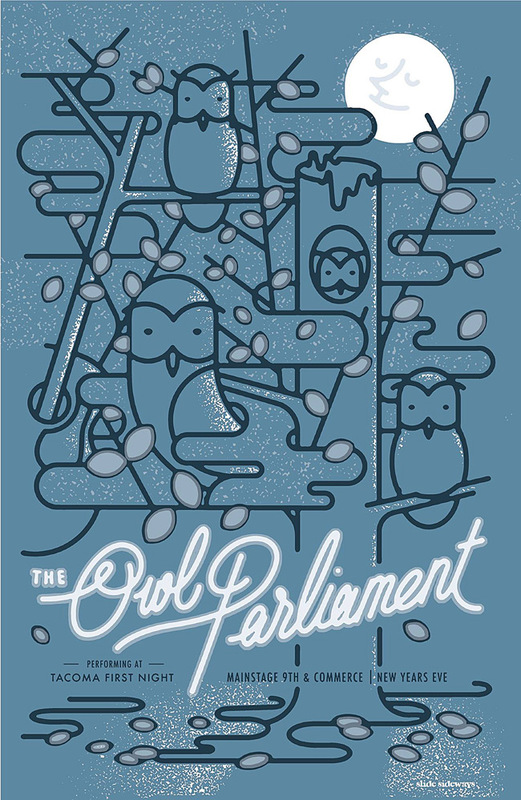 SHOWS — The Owl Parliament - Music from Tacoma, USA. KEXP and SHOWBOX PRESENT: Motopony 'Welcome You' CD Release show featuring Tristen, Big Harp and The Owl Parliament. All Ages. Tickets available through TicketMaster. *LImited edition, 14 x22 inch screen printed posters will be made available at the show. Thank you for the wonderful poster design Chelsea Wirtz! Printed by Broken Press. Poster design by Scott Scoggins for Slide Sideways. Poster design by Riley Taylor.